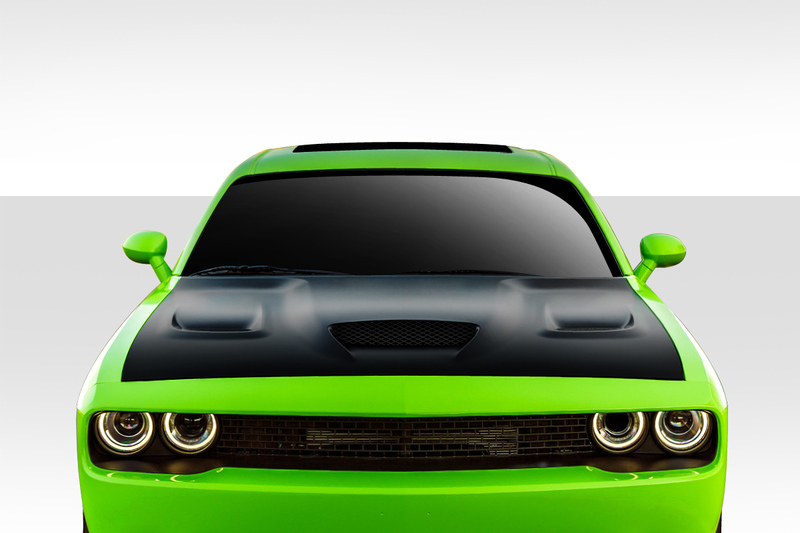 Since it’s debut in 2015 the Dodge Hellcat model has been the holy grail of Dodge vehicles. 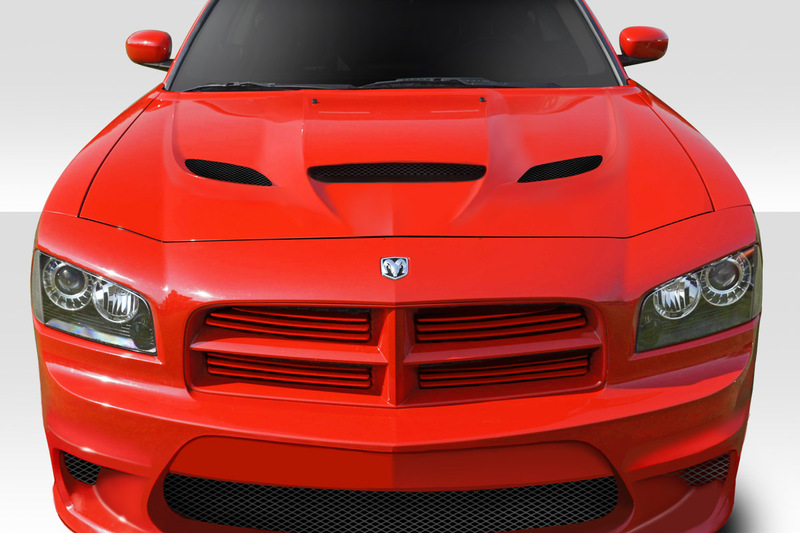 We now offer the Hellcat Hood style for many Dodge, Chrysler and Jeep applications. 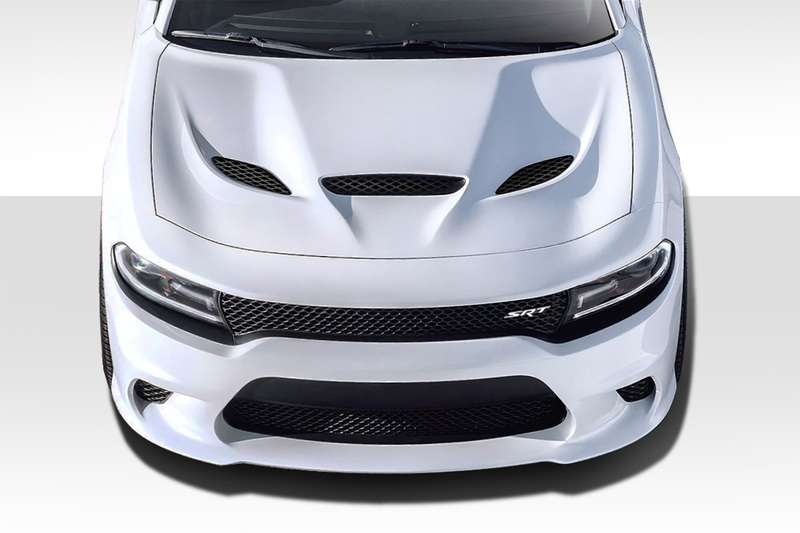 You can install this Hellcat Hood and have a piece of that incredible styling to show off. 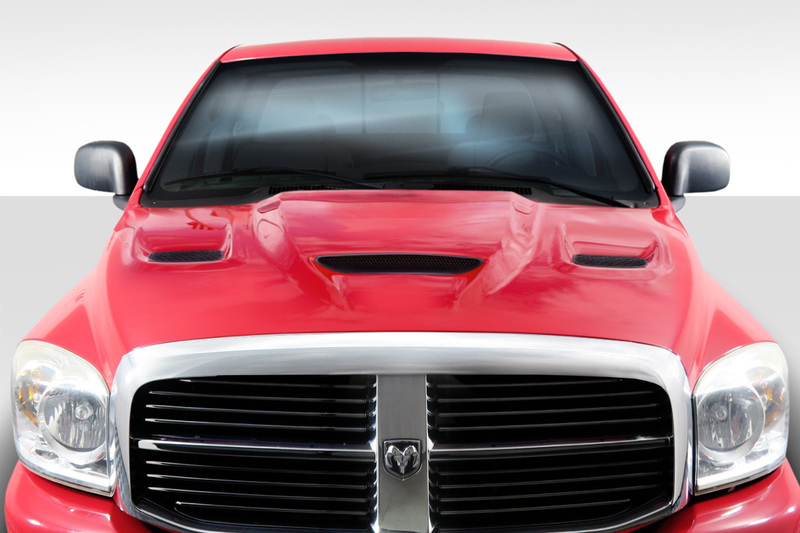 Our fiberglass hoods bolt on to the stock hood hinges and include an OEM style latch. 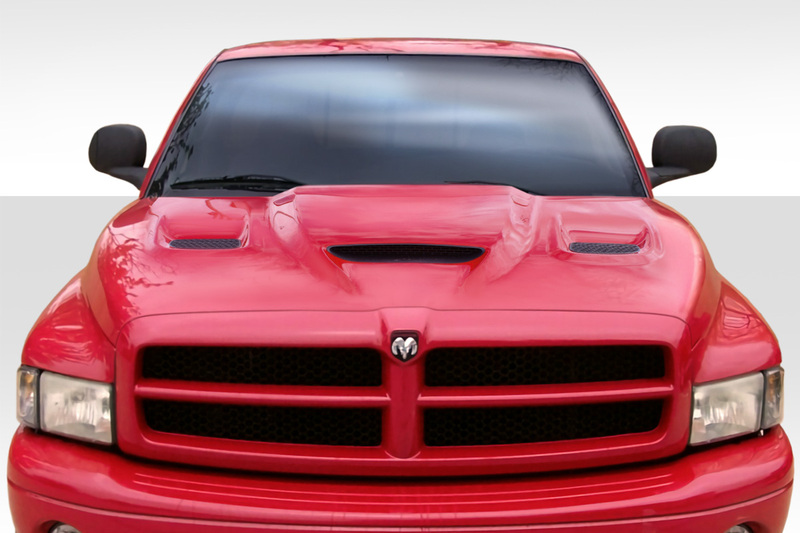 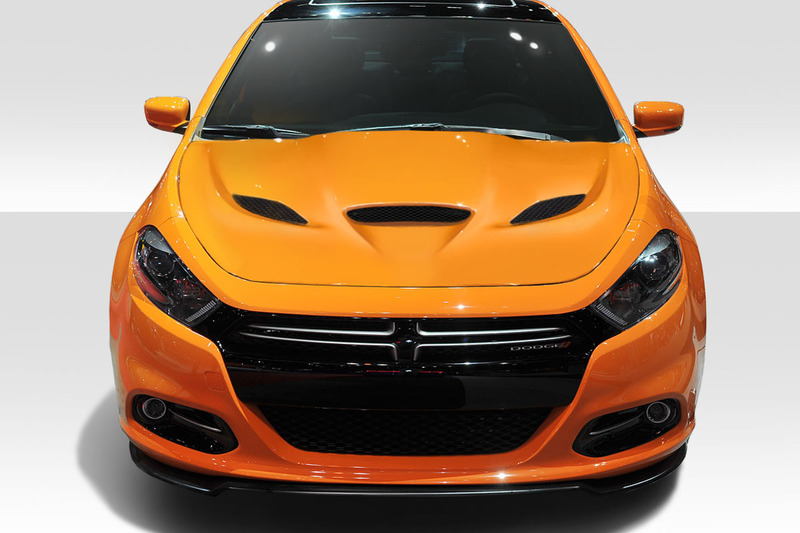 This is the perfect hood to compliment your customized Dodge, Chrysler or Jeep vehicle. 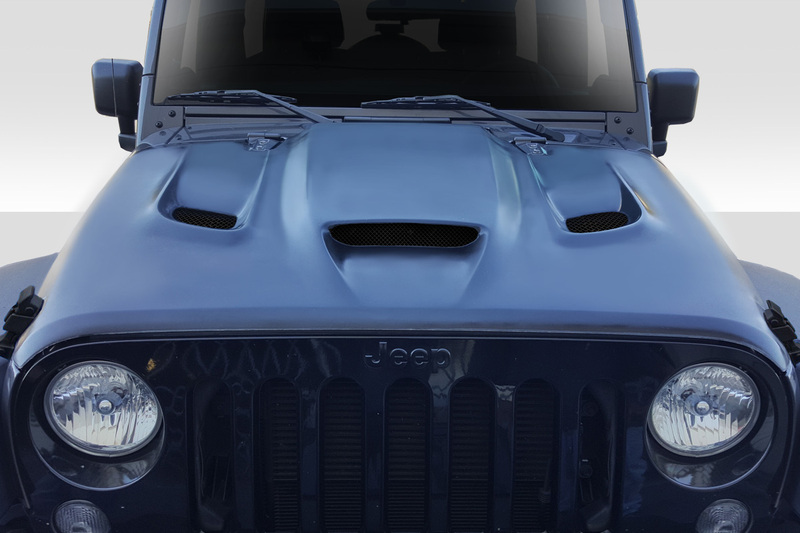 In other words not only will this hood look great installed it will look like a factory option. 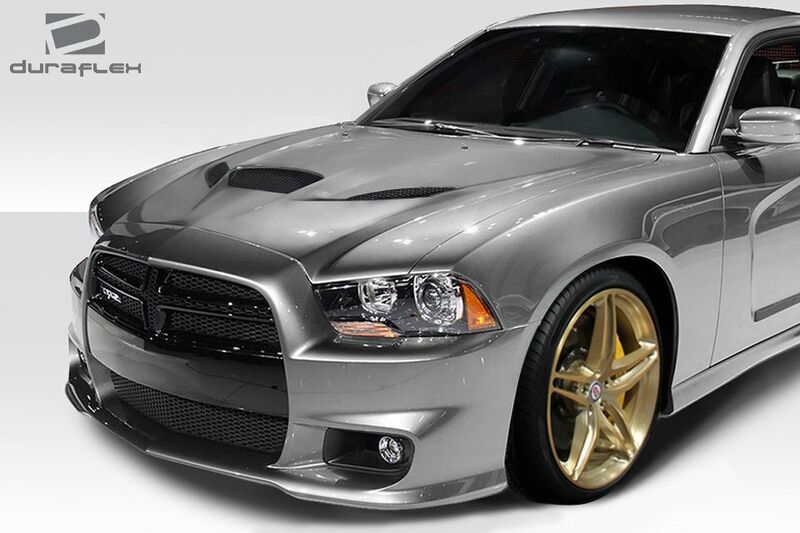 Driven By Style LLC specializes in body kits and aerodynamics products. 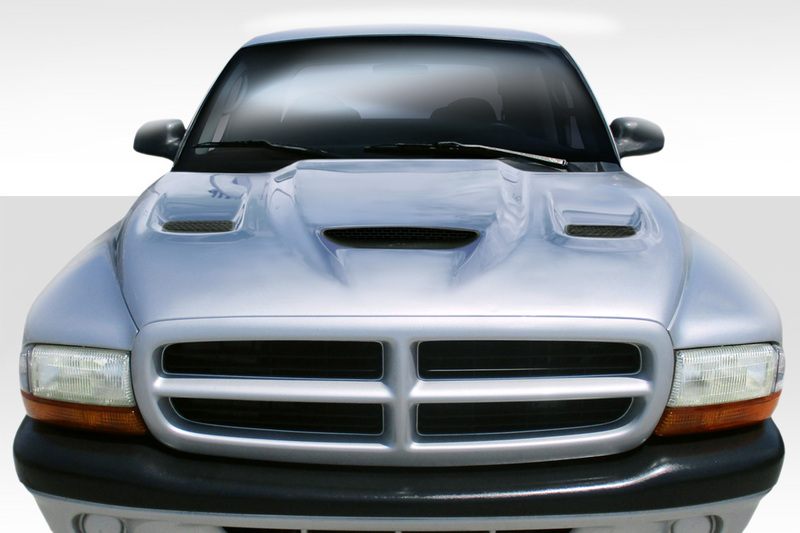 For instance we carry everything from complete body kits to individual components you can mix and match. 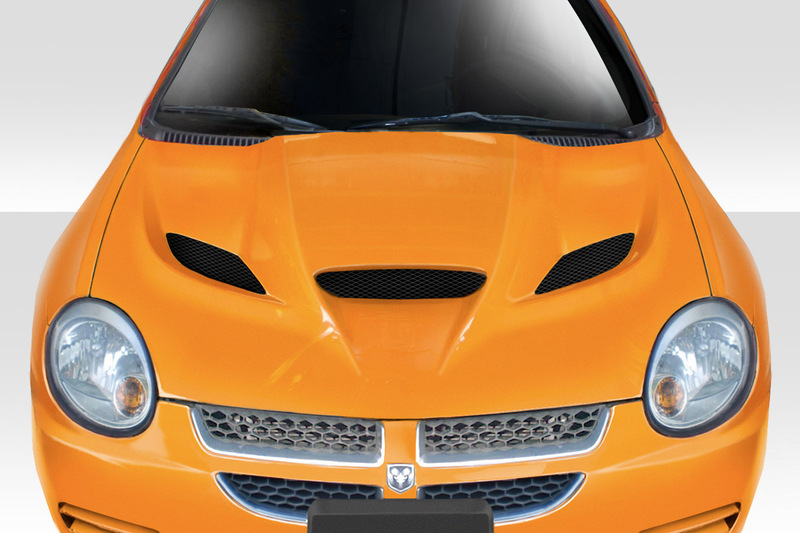 Therefore you can choose the front bumper, side skirts and rear bumper of your choice to create your own style. 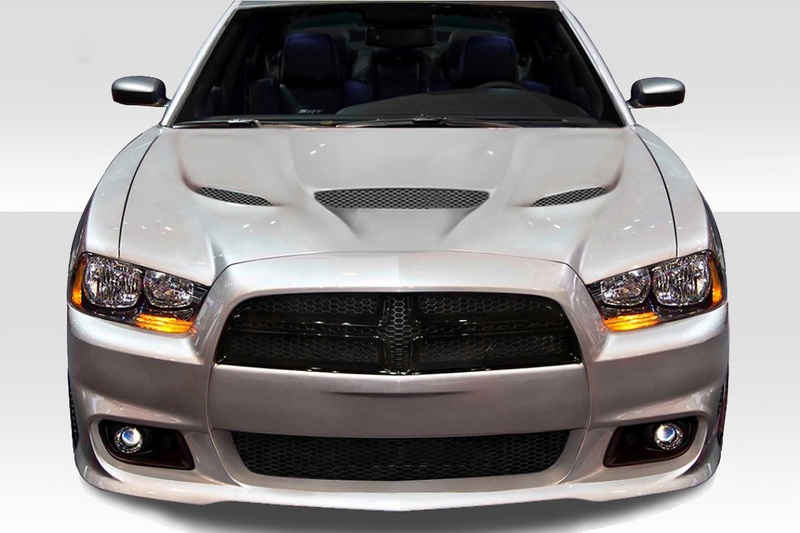 Additionally we also carry custom hoods that feature stylish vents and scoops that can really make a big splash. 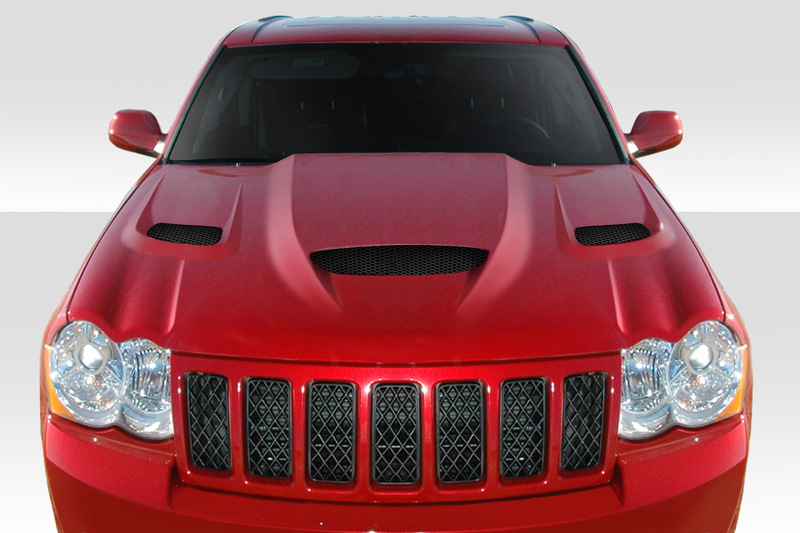 Furthermore our hoods are also functional to allow hot air to escape and allowing cool air in. 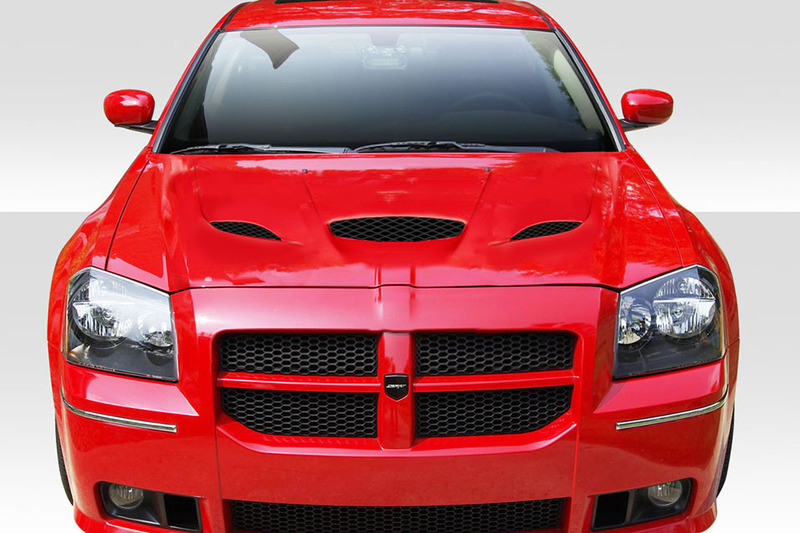 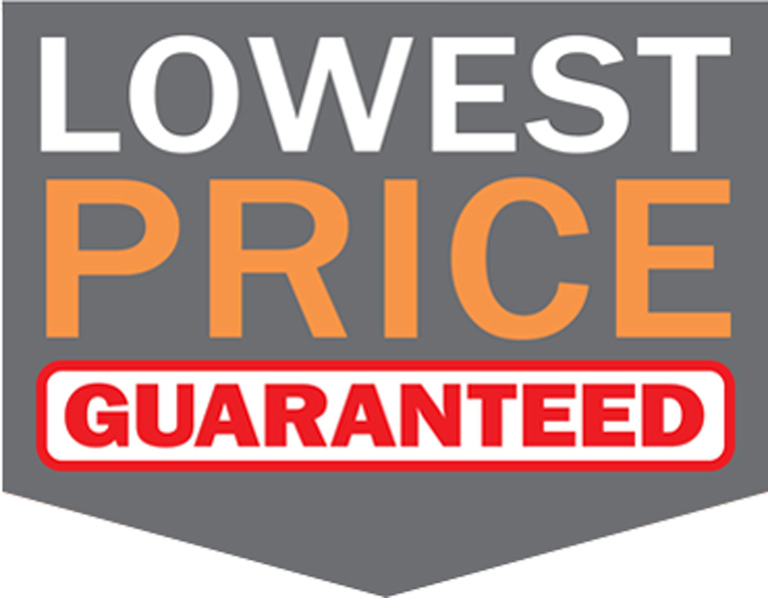 In other words when it comes to body kits and styling we have the bases covered.